If you’ve walked down the breakfast aisle of your local supermarket in the last few months you’re likely aware that some sort of bizarre cereal apocalypse is upon us. Classic cereals of the past are currently being forced to bump elbows with some of the strangest new additions to the junk food breakfast market in some time. The main theme seems to be, “Hey! Remember that snack you liked? It’s a cereal now.” Nilla Wafers? Yes. S’mores? Check. Nutter Butter? You butter believe it. While some of these flavors and brands make sense, others seem to be really reaching in terms of what they can bring to the already saturated cereal landscape. Often times consumers, such as myself, don’t have the gall to commit to a family-sized box of what could potentially be an inedible disaster. But I decided to take one for the team. 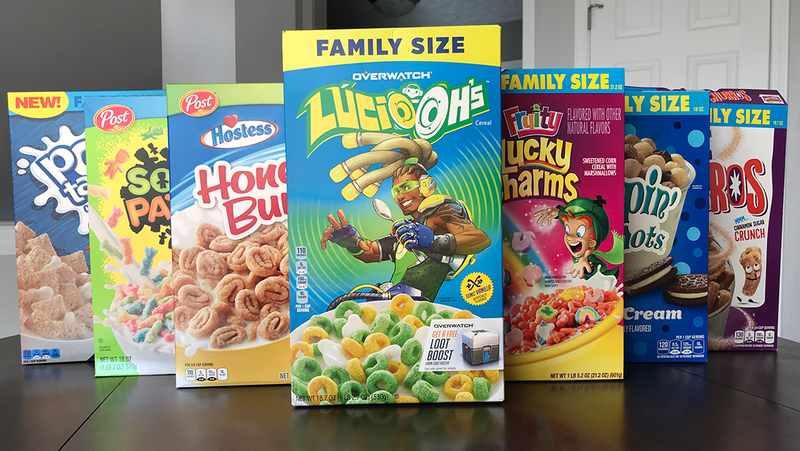 After getting permission from Snacktaku overlord Mike Fahey, I went out and purchased the seven wildest sugar blasted cereals I could find, and then I ate them over the course of a week. Let’s break it down from best to worst. Initial Thoughts: As someone who has never had an authentic churro, I wasn’t sure how General Mills was planning to warp the already excellent Cinnamon Toast Crunch to line up with the requirements of a fried dough pastry. Outwardly, the cereal just looked like Cinnamon Toast Crunch in tube form, which sounded fine to me. I was optimistic to say the least. After Eating: Yeah, turns out Cinnamon Toast Crunch Churros really are just thicker, crunchier, noodle-shaped cereal bits with the exact same taste. And I’m fine with that! “If it ain’t broke, don’t fix it,” I say. When I was finished with my first bowl, I immediately poured myself another sugary mountain. God help me. Verdict: Churros is the only cereal I’m probably going to buy another box of in the near future. They might actually be better than the classic brand they’re based on, which is quite the feat. Initial Thoughts: Pop Tarts have long been the go-to breakfast of the cool and unhealthy alike. Growing up, I was only allowed to eat Pop Tarts at my grandma’s house, and even then only as a special snack. It’s actually somewhat strange that there hasn’t been a Pop Tarts cereal before now. [Update: Multiple folks have pointed out that a Pop Tarts cereal did exist in the mid ‘90s.] It’d be pretty embarrassing if Kellogg’s managed to messed it up. After Eating: Each little Pop Tarts nugget houses its own microscopic drop of strawberry flavor (or brown sugar cinnamon flavor, if you go that route). The consistency is strangely chewy, but it works well enough that I would actually consider eating it for breakfast on a normal work day. Don’t tell my parents. Verdict: Pop Tarts cereal is pretty tasty when doused in milk, but it’s also a great dry snack. Just don’t try pouring it in your toaster. Initial Thoughts: Honey and cinnamon have long been two of the most popular cereal flavors on the market. It would take some serious effort for Post and Hostess to mess up something as simple as a Honey Bun cereal. I’ve never gravitated towards the classic snack rolls in the past, but that doesn’t mean I don’t enjoy them on occasion. After Eating: Honey Bun cereal really does taste like the real thing. Granted, it doesn’t have the soft and gooey texture of a real Honey Bun, because that would just be gross. 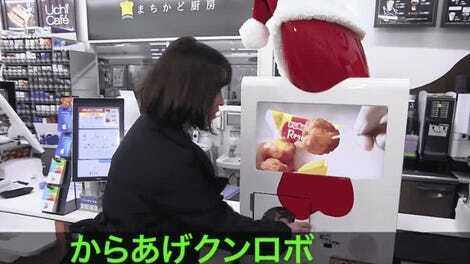 It’s nothing revolutionary, but it gets the job done if you’re in need of a sugary treat or breakfast meal. I’d go so far as to say I actually prefer the cereal to the original roll. Initial Thoughts: I love Overwatch. As someone who considers himself a “Lucio main,” I was immediately on board to try this once-fictitious cereal. At first glance I thought Lucio Oh’s might be some sort of Froot Loops reimagining, but soon spotted the graphic promoting the cereals “Sonic Vanilla” flavor. The box itself is pretty slick looking, not to mention it includes a free download for an actual album and somehting called a “Loot Boost.” Neat. After Eating: “Sonic Vanilla” sure does taste like regular vanilla to me, and I’m starting to understand why there aren’t many other cereals that shoot for that flavor as their selling point. It’s a bit dull and underwhelming in the long run. Lucio Oh’s sort of taste like stale Apple Jacks, which isn’t the worst thing in the world, but it’s certainly not the best. Verdict: Lucio Oh’s were fine, but one box was enough for me. I’ll just listen to my free Lucio album while I wait for Genji Charms and Pharah Flakes to drop. Initial Thoughts: Lucky Charms seems to be going through an identity crisis as of late. In the last year alone there have been Chocolate Lucky Charms, All Marshmallow Lucky Charms, and some kind of weird Lucky Charms and Frosted Flakes mash-up. The cereal’s newest trend is getting all fruity up in your mouth. “What kind of fruit?” you may ask. Well, that’s a darn good question that General Mills does not wish to answer. The non-marshmallow bits are red though, and that’s our only hint. After Eating: Fruity Lucky Charms are overwhelming on just about every front. They’re so sugary I could practically feel each mouthful melting away my enamel. The sweet smell of the cereal is very reminiscent of a teenager who wasn’t sure how much body spray they needed, and decided to unload the entire can on their torso. The careful balance between the oat pieces and marshmallows of the original Lucky Charms has been replaced with a non-stop fruit extravaganza. Verdict: Just get normal Lucky Charms. This fruity variety is just too overpowering. My dog did enjoy them when I dropped a few pieces on the kitchen floor. So there’s that. Initial Thoughts: The “Ice Cream of the Future” is now the cereal of the present. If you have never experienced the disappointment of buying a small cup of Dippin’ Dots at the zoo or a local sporting event for $10, well, I envy you. Dippin’ Dots is easily ice cream’s most unnecessary and overhyped form. I guess I could see how its shape and basic flavors could be translated to cereal, but past run-ins with the brand have made me leery that they can’t do much right. After Eating: I’ll admit that I didn’t think any cereal on this list was going to fall lower than Sour Patch Kids, but boy howdy was I wrong. Dippin’ Dots is straight up nasty. It tastes like Kix, if Kix wanted you to suffer. It somehow manages to be both bland and disgusting at the same time, and it smells even worse. It was the only cereal I tried that I gave up on half way through. It seems my Dippin’ Dots fears were well warranted. Verdict: Absolutely do not, for any reason, put this cereal in or around your mouth. And thus the great cereal experiment comes to an end. Now I have to figure out what to do with multiple family-sized boxes of cereal that I’ll certainly never consume — an unfortunate fate that I’ve hopefully saved Kotaku readers from experiencing in the near future. If you’re interested in hearing me rant about new and interesting cereals on a weekly basis you should check out my new podcast, it’s called Cereal. Not to be confused with that similar sounding podcast where Sarah Koenig investigates crimes. I just try different cereals and talk about how good or bad they taste. You can find Cereal on Apple Podcasts and Google Play.